Found one file extension association related to Adobe Photoshop Touch for iPad and 1 file format developed specifically for use with Adobe Photoshop Touch for iPad. Adobe Photoshop Touch for iPad is tablet version of Adobe Photoshop for Apple iPad 2 and iPad 3rd generation or newer. 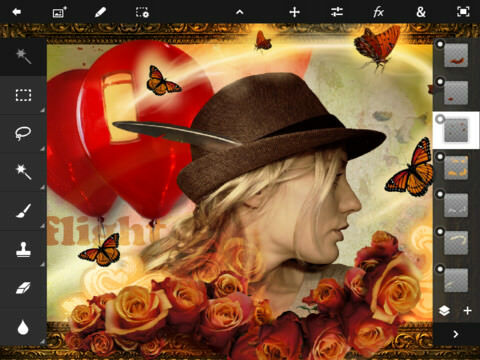 Transform images with core Adobe Photoshop features in an app designed for tablets. Combine images, apply professional effects, share results with friends and family through sites like Facebook, and more – all from the convenience of your iPad. The Adobe Photoshop Touch for iPad software seems to be old or discontinued. If you need more information please contact the developers of Adobe Photoshop Touch for iPad (Adobe Systems Incorporated), or check out their product website.